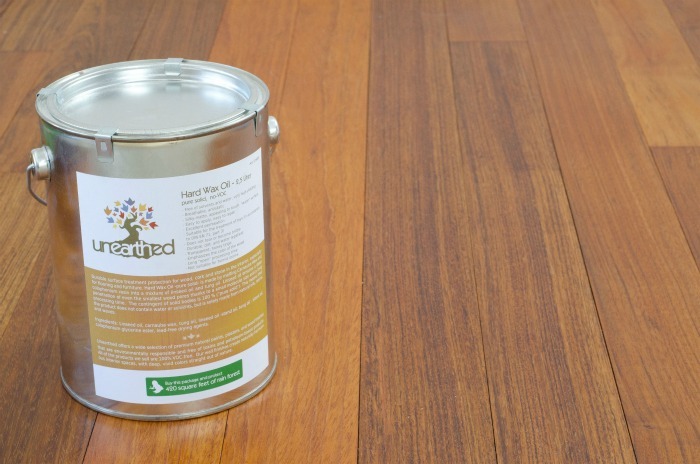 If you’re looking for a product to finish your floors that doesn’t contain harmful toxins, you’ll be happy to hear that Unearthed Paints recently announced their new natural Hard Wax Oil Finish – an eco-friendly, durable surface treatment that ensures excellent protection for wood, cork, and stone in interior applications. Unearthed Hard Wax Oil is produced from natural raw materials, and is non-toxic and VOC-free, contributing to a healthy living environment. The Hard Wax Oil finish provides a natural, breathable silky-matte finish that penetrates deep into the pores of your floor to enhance the wood’s natural beauty. If you're looking for a product to finish your floors that doesn't contain harmful toxins, you'll be happy to hear that Unearthed Paints recently announced their new natural Hard Wax Oil Finish – an eco-friendly, durable surface treatment that ensures excellent protection for wood, cork, and stone in interior applications. Unearthed Hard Wax Oil is produced from natural raw materials, and is non-toxic and VOC-free, contributing to a healthy living environment. The Hard Wax Oil finish provides a natural, breathable silky-matte finish that penetrates deep into the pores of your floor to enhance the wood's natural beauty.